Because of a certain school-related experience, I had learned the hard way that not all schools are fit for each children. And something that my cousin in law told me when I was feeling down really stuck to me. That "sometimes it's about finding the right school for your child." It's not the name, the size, facilities, the tuition, or how famous the school is. It's finding the right school with teachers that you know really cares for your child. And has the most fun and interesting approach in learning. Like in Rain's case, she easily gets bored with the traditional approach. As soon as she sees a text book, she immediately feels listless. Rain is a very energetic girl who loves to draw, dance, sing, and of course, play. As all kids do. Personally I feel she needs to be in a non-traditional school. That's why I looked into the progressive education approach. And I immediately felt that this is more her speed. Whether in a literary or purely biological sense, human beings are born to discover. As infants, we are curious beings who want to touch, smell, hear, and taste everything around us. As we grow older, this inborn hunger for knowledge is channeled by educational institutions that fill our minds with a storage-full of information, including complex equations, formulas, important historical dates, and scientific facts. Unfortunately, this data is often merely stored and not fully understood. 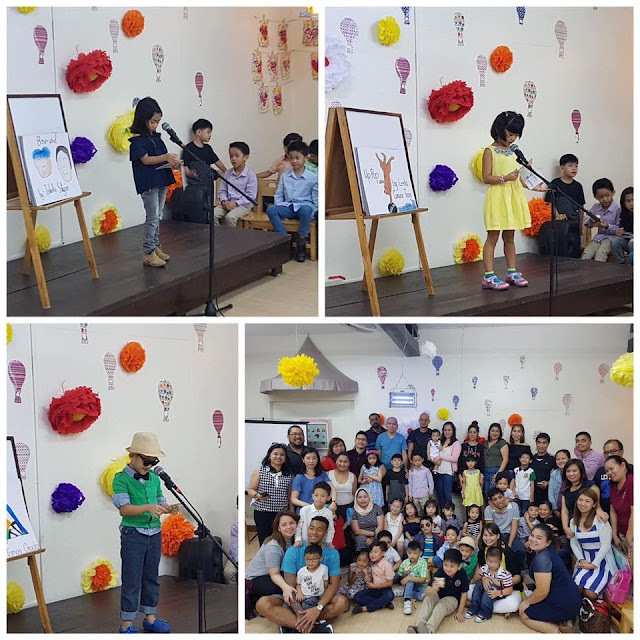 Indeed, numerous studies have shown that years of learning through rote memorization and repetitive instruction is one of the main reasons why people lose their spark of curiosity. By focusing too much on what we learn, and not why and how we learn it, even our creative thinking can become inhibited. This is a significant point, especially in today’s fast-paced, lateral-thinking, and creative-driven world. 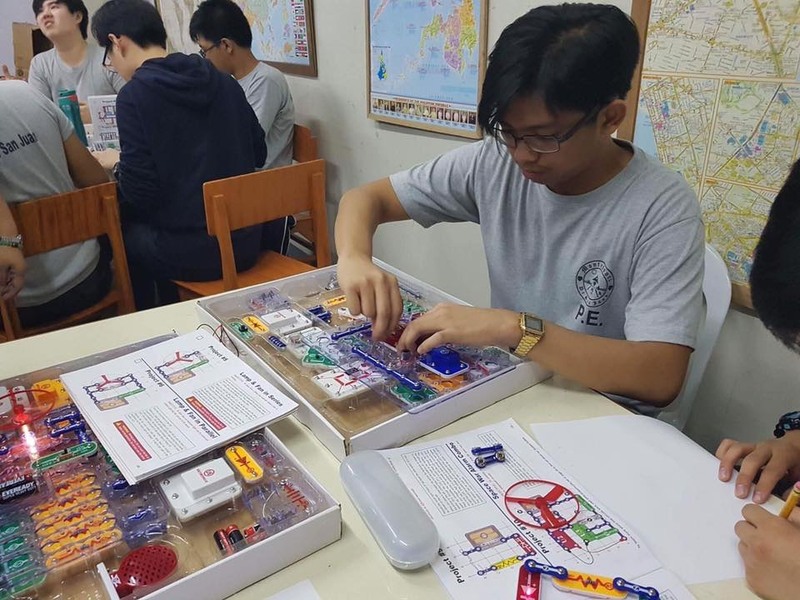 Although traditional methods of education have produced some of history’s most brilliant minds, it appears that the past two decades have seen a radical shift in terms of equipping students with effective skills for real-world success. Learning systems that emphasize strict standardization may be ideal under uniform conditions, but as we know, life is rarely ever regimented. Arellano admits that part of Montessori de San Juan’s core objectives is to address the drawbacks of traditional schooling that often result in lethargic, poor-performing children. This includes over-scheduled students, too much note-taking and not enough attention to the actual lessons, over-cramming information in a short period of time, an unreasonable amount of homework (which often goes unsupervised during the actual process of completion), and a one-size-fits all mentality for learners. “Are our students less busy or less equipped? Quite the opposite. Our children have such a love for learning, and a genuine excitement to go to school and practice what they are taught, that they consistently end up scoring higher than their peers in standardized tests,” she pointed out. 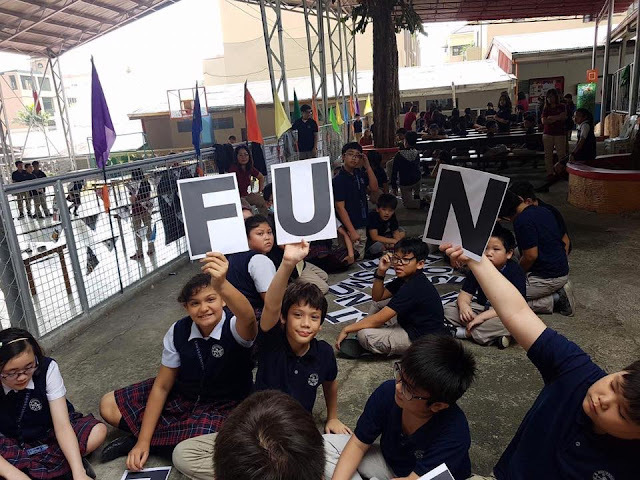 Moreover, Arellano believes that schools should likewise make a determined effort to to provide students with an environment that makes them feel empowered rather than constrained. “Each student is an individual, and different from all others. Children have their own special way of learning and understanding things. Attempting to fit all of them into a rigid and standardized structure may not maximize their full potential,” she noted. Accordingly, a small class size is paramount to knowing the needs of each and every student. 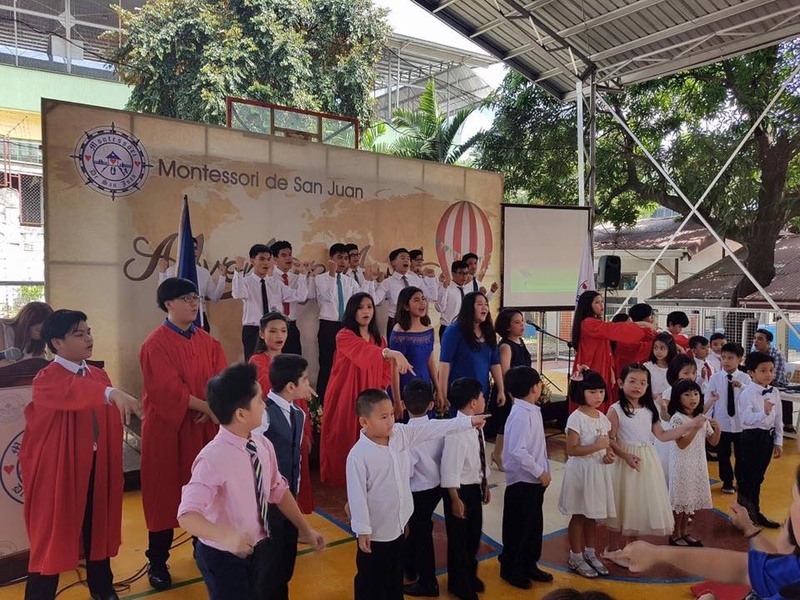 In Montessori de San Juan, there are around 150 students from grades 1 to 12, with approximately 12-15 students per class. With a class size like that, it is easy to gauge whether a students is a visual, tactile or auditory learner, and from there, this is how teachers assess their approach to the students. “Another issue nowadays is how too much time is spent presenting the material, leaving very little time for practice – thus leading to piles of homework. In our school, everything is worksheets, modules, and hands-on activities related to the subject matter,” Arellano added. Also, in the classroom setting, students are grouped in wider age spans, namely 3-6, 7-9, and 10-12. This helps them form relationships and bonds with kids of different ages. As the students get older, the teaching method becomes semi-progressive, semi-traditional setup, adding textbooks into the mix. With age comes a bit of homework, which is kept at a minimum since teachers assess their students through their performance in the classroom. 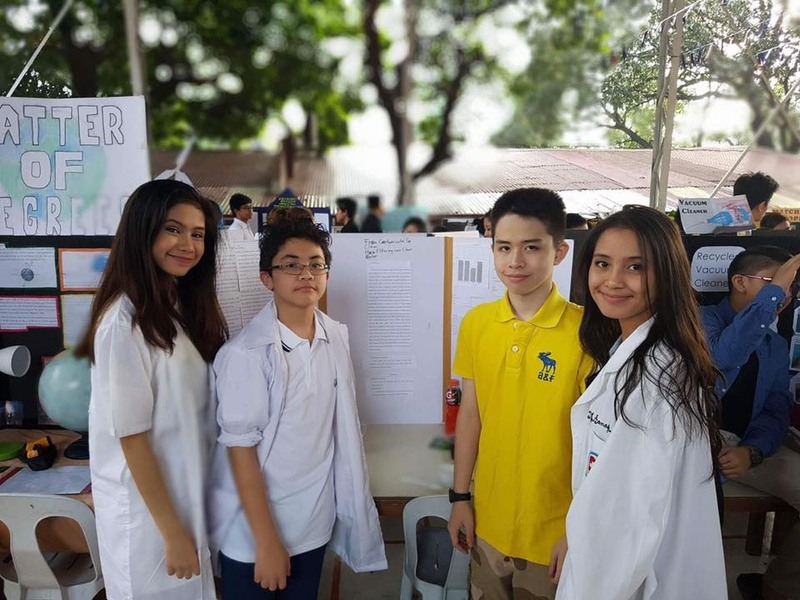 “Our classroom activities involve 90 percent application and only 10 percent discussion, so a lot of the kids are able to see the practicality and the use of the subject matter they are learning. 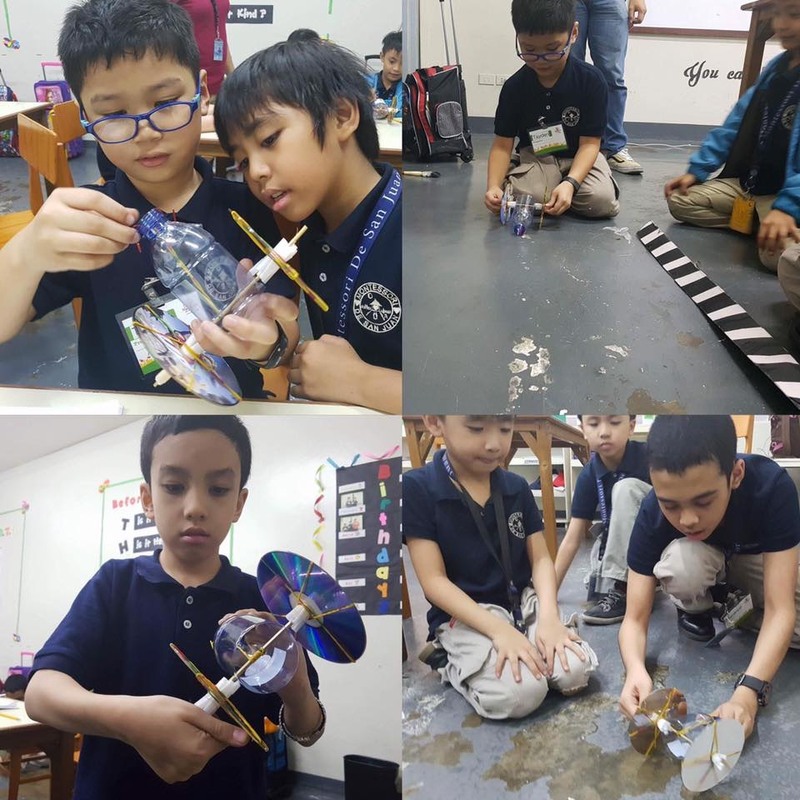 We try to show them the direct applications to what they are learning,” Arellano concluded. 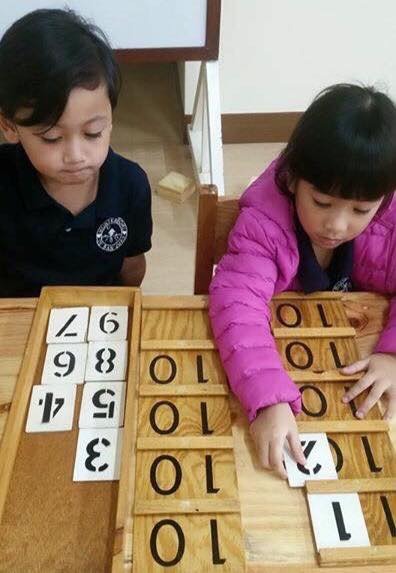 Due to numerous success stories regarding progressively educated children, Montessori de San Juan is gaining quite a reputation as an elite school. Despite this, however, the school remains grounded in its mission to cultivate students who love learning so much, and learn so well, that they will be able to learn whatever needs to be learned in the future. From all indications, it is fulfilling this mission remarkably well.